GET THE BEST OUT OF YOUR FRUIT! 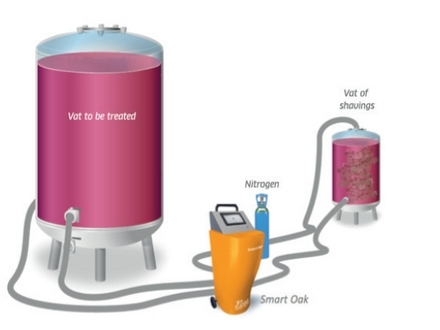 This innovative thermovinification process significantly improves the quality of the wines and adapts the type of wine to consumer demand. 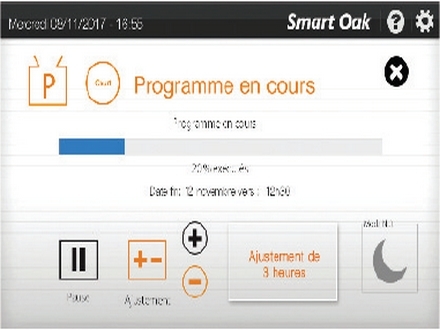 OEnoSm'art has been developed to meet the needs of users with its versatility. This is a great step forward for winemakers. Flash Detente technology is now available to cellars with small harvest volumes to process. For many years now, Flash Detente technology has demonstrated its usefulness in producing quality wines adapted to the demands of consumers around the world. With all the elements combined onto mobile skids, they are easy to install in small producers’ facilities and can thus help deliver a good service. OEnoSm’Art is therefore a new winemaking tool which makes Flash Detente technology available to everyone. • lnerting during oaking operation. • Controlled extraction of the aromatic compounds from the oak wood. • Temperature monitoring in real time. • Extraction intensity selected according to the type of wine required. 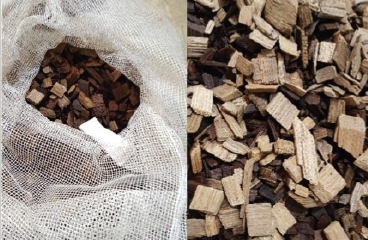 • Reduced wood/wine contact time (a few days instead of 3 to 6 months in the static process). • Rapid return on investment. • Flexibility: enables fast adaptation to consumer demand. 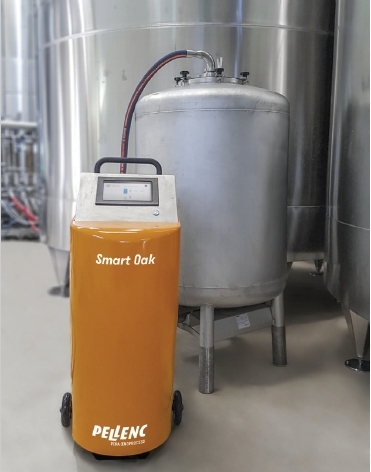 • Shavings added to the Smart Oak vat. • No need to lift bags of shavings to the top of the vats. • User-friendly and intuitive touchscreen interface. • The progress of the oaking is monitored by an electrical impedance spectrometry sensor.